100% cotton (controlled biological cultivation, EtaProof®, fabric weight 200 g/m²), origin Switzerland. Contains non-textile elements of animal origin: horn buttons. 1 flap pocket and 1 pen pocket on the breast, 3 bellows pockets with flaps and 1 inside pocket. Jacket made in Poland. Comes in dark blue. Back length for size 50 = 76 cm. EtaProof® , a fabric moderately impregnated with wax, is so densely woven that in contact with dampness the fibres swell up and water just pearls off the surface. 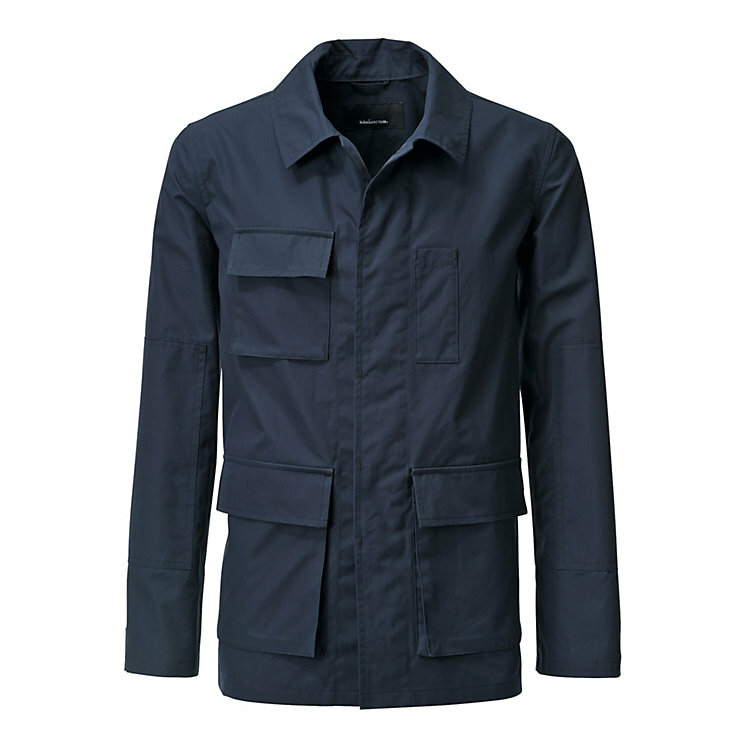 As long as it does not rain in buckets, the fabric of this unlined jacket will keep you dry and warm. The jacket, frequently used by outdoor outfitters, the military and polar researchers, features a concealed button facing and it sits well with the aid of an adjustable cinch at the waist. The sleeves can be buttoned.